For electoral success, economic development and electoral alliances are crucial, as shown by the results of five state elections last week. Political analysts tend to ignore economic development. They emphasize personalities, vote banks, catchy slogans and imagemanship. These certainly matter. Yet economic progress has recently become far more important. Anti-incumbency used to dominate elections. In the 1990s and early 2000s, three-quarters of all incumbent governments lost the next election. But that trend reversed when the economy boomed in 2004-11. Suddenly three-quarters of incumbents started getting re-elected (including the UPA in 2009). Clearly accelerating economic growth translated into more voter satisfaction, partially offsetting the old anti-incumbency. But after 2011 India’s economic growth slowed again, and anti-incumbency once again became more powerful, resulting (among other things) in the ousting of the UPA in 2014. A statistical exercise in the Economic Times some years ago suggested that if GDP growth accelerated in the incumbent’s term compared with that of the previous five years, the incumbent had a 60% chance of re-election. So, economic acceleration (or deceleration) was a significant though not clinching electoral determinant. Forging the right alliances mattered hugely. Both factors are confirmed by the state polls. GDP growth accelerated in West Bengal, one little-noticed reason for Mamata Banerjee’s spectacular victory. State finance minister Amit Mitra says GDP rose by a whopping 12% in her final year (though this has not been confirmed by the CSO). By contrast, GDP growth decelerated in Assam and Kerala. No wonder the ruling Congress party was defeated in both states. But that’s not the only reason. Had the Congress allied with the Muslim AIUDF in Assam, it might conceivably have won. Bad growth plus bad alliances spell disaster. In Tamil Nadu, economic growth slowed considerably under Jayalalithaa compared with the earlier five years of DMK rule. This pulled down her vote share to just 40.8% in 2016 against 53.9% for her alliance in 2011. But the opposition vote this time split between the DMK alliance (39.5%), the Third Front headed by the DMDK (6.0%) and PMK (5.3%). Had the DMK allied with the DMDK and PMK, at the cost of contesting fewer seats itself, it might have won. Some analysts think Jayalalithaa won by promising ever more freebies. But freebies are offered in Tamil Nadu by every party. Despite that, incumbents have always lost elections for three decades. Jayalalithaa too lost vote share despite her freebies. No, economic growth and alliances matter more. While covering the state election, I asked one female voter if people were grateful to the AIADMK for freebies. She snorted, “Where does the government get money for freebies? From the people, of course. If it then gives back some as freebies, how is that a favour?” Touché! The most telling lesson came from Mamata Banerjee’s sweeping success in West Bengal. Many of the bhadralok hated her. Her authoritarian tendencies, vendetta against all who opposed her, arbitrary arrests (of even cartoonists), blunt politicisation and erosion of educational institutions revolted the elite. Many who had opposed the Left Front’s thuggery were aghast when Mamata adopted many of the same goons for her own purposes. She empowered community “syndicates” to get contracts for government supplies, and these were widely slated as her own mafia. She financed “clubs” in towns and villages that were interpreted by critics as doles for thugs. Yet all this was offset by her emphasis on rural development. Even her opponents admit that she did far more for rural roads, electricity, health and water than the Left Front ever had. These issues did not rank high in the priorities of the Kolkata elite, but certainly did among the rural masses. Even businessmen say the investment climate is now much better, notwithstanding Singur. The good news: several once-backward states realize that economic development wins elections. Nitish Kumar in Bihar is the best example, but others include Naveen Patnaik (Odisha), Shivraj Chouhan (Madhya Pradesh), and Raman Singh (Chhattisgarh). These high-population BIMARU states were once a drag on national growth, but in the last decade have grown faster than the national average, pulling up the rest of India. Two conspicuous growth laggards have been West Bengal and Uttar Pradesh. West Bengal seems on its way up. Will politicians in Uttar Pradesh learn from Nitish and Mamata? Will they too focus on economic development as a vote winner, not on caste and religious alliances? 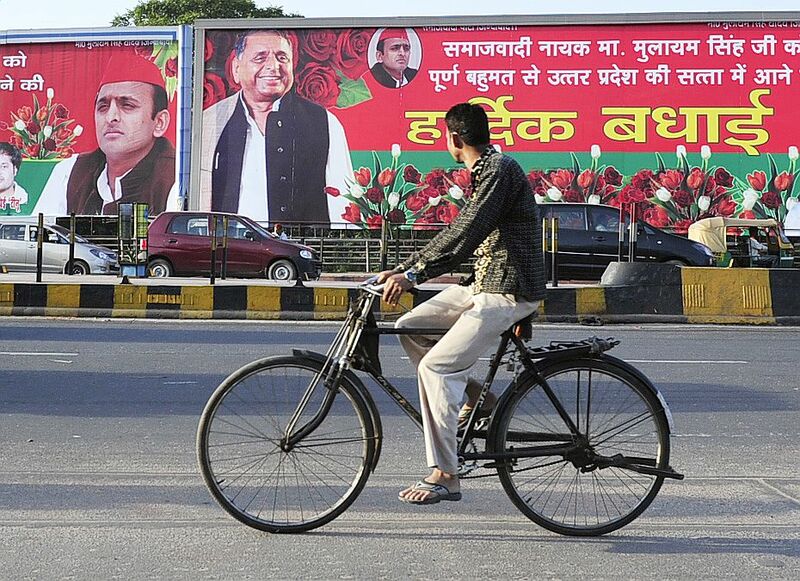 The state election next year will provide an opportunity for UP’s transformation.